The Hay Festival is starting in a couple of days on the 21st of May so Home Arty Home naturally started to think of books. 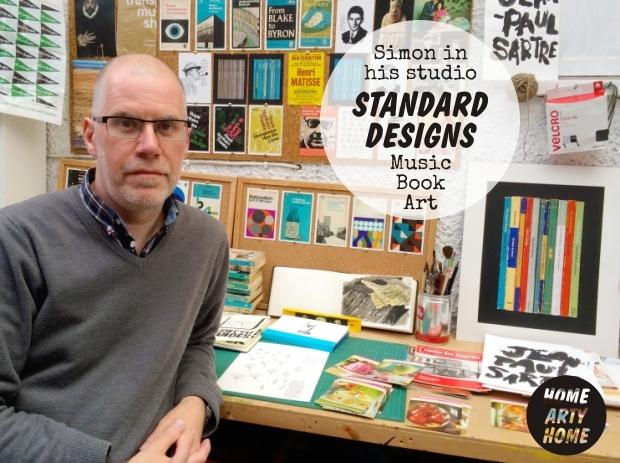 Simon James got in touch a while ago to introduce me to his art prints and I immediately thought of Standard Designs with their collection of book art. 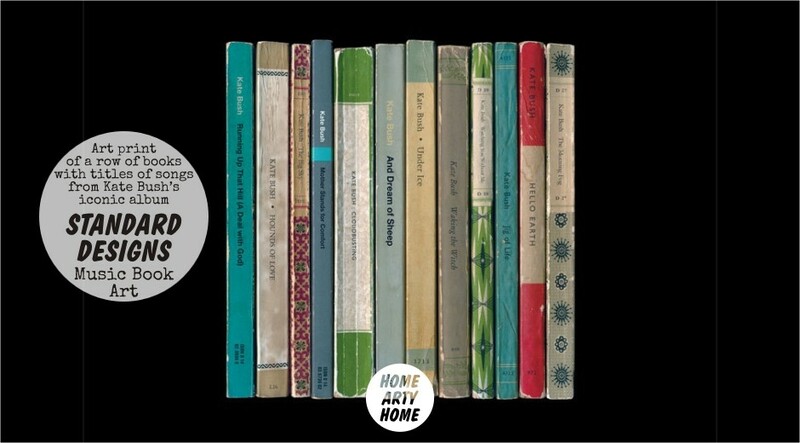 The prints look like a stack or row of well-loved books but closer inspection reveals that the book titles are actually song titles. 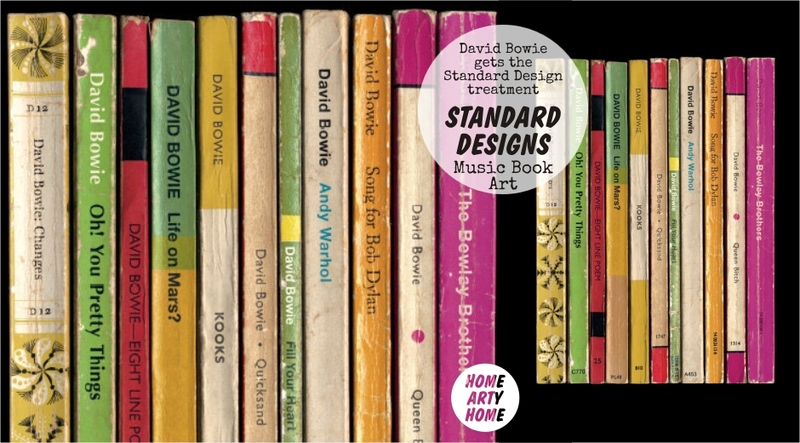 Standard Designs transforms classic albums into books by allocating each book the name of the song in the running order of the album. 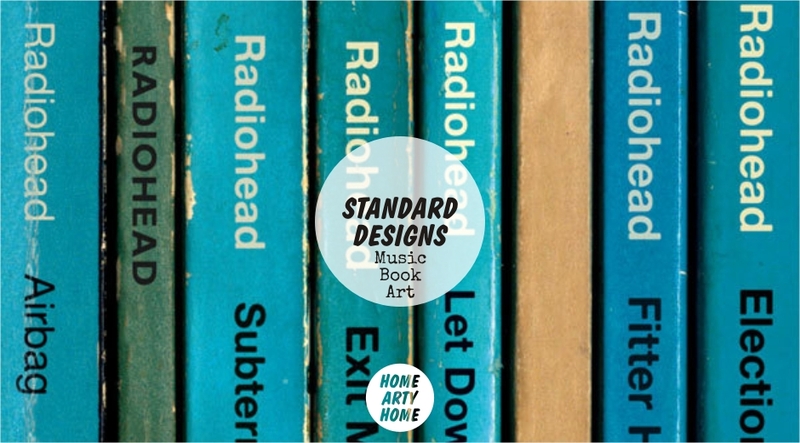 Morrissey, Kate Bush, Radiohead, Oasis, Blur, and David Bowie are just some of the musicians whose albums have been transformed into art by Standard Designs. Currently, Standard Designs is just me. My background is in fine art – I’ve been exhibiting work in galleries since the early 1990s – but I’ve also had a parallel career in TV, writing questions for quiz shows. So there’s always been a very wordy or literary vein running through my work, backed up with lots of reading around a subject. How did Standard Designs get started? I’d always been interested in ways of bringing art to lots of people at once (as opposed to the standard gallery way of selling a single piece of art to a single person). When I discovered Etsy in 2010 it seemed like a relatively painless way of going about that. I’d not been drawing for a while, and I wanted to start again. 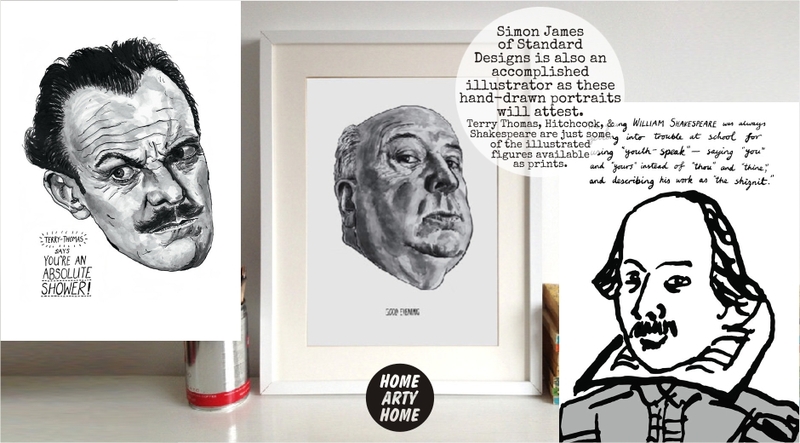 So I started off, kind of arbitrarily, with a set of portrait drawings of the writers & philosophers whose work really meant a lot to me, accompanied by pithy comments (I take the view that your favourite writers are like your friends, and you need to be able to give your friends a dig in the ribs occasionally!). As for the name Standard Designs, I’ve always been tickled by blandness & dullness, and so somewhat perversely I wanted a name for my enterprise that sounded very workaday and promised nothing! Maybe it was a little joke about the commercialization and commodification of everything, but I also wanted there to be the tiniest ping of happiness in people’s minds when they discovered something they really liked in my shop, that maybe these things weren’t quite so ‘standard’ after all. What’s the creative process for you? What inspires & influences your work? I have two approaches to creating work. The first is: do nothing. Just keep the mind open to everything and trust that somewhere in there there’s a part that knows how to cook ideas up instantaneously. That’s how, for example, my albums-as-books series began: I was looking, with my head tilted sideways (don’t ask! 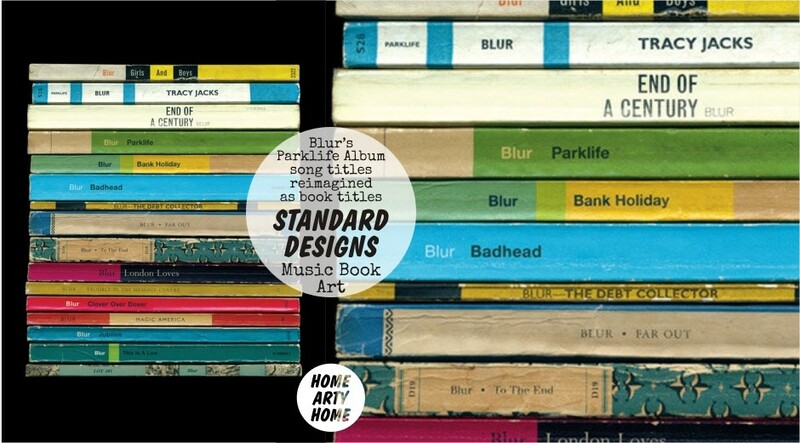 ), at a pile of Penguin books on my desk while listening to The Smiths’ ‘The Queen Is Dead’. Suddenly – ting! 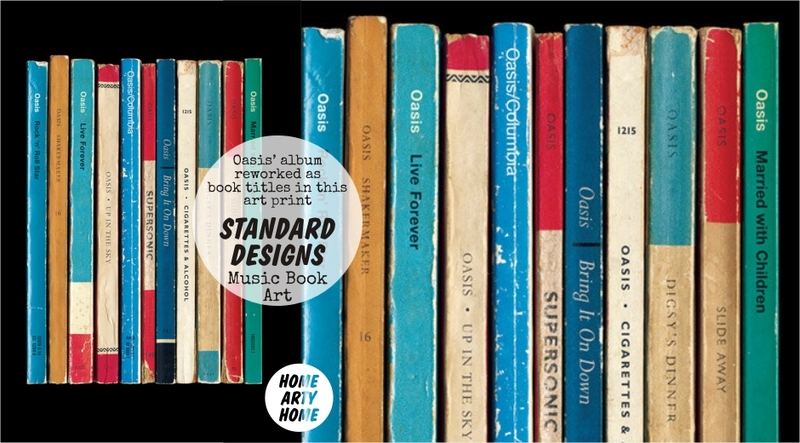 – each book became a track on the album, and I visualised the set of books standing together against a black background. It all just happened in front of my mind’s eye, all I had to do was set about turning it into a print. I seem to have a very associative mind with a very active and detailed memory, so I just let it happen. Sounds woolly and maybe a bit boastful (it’s not meant to be), but the alternative – sitting down and trying really hard to come up with something – for me results only in empty pages and excessive tea consumption. The second approach is: write down everything. My mind is constantly making up silly phrases and names for things – these all get written down in my notebooks, no matter how dumb they might seem at the time. Write it all down, review it and edit it later (always with an open mind, and no intended destination), and maybe something new and useful will emerge that way. As for influences, I love any design that is simple, neat, and highly functional, that does its job and then just sits peacefully there up, but does it in such a way that it leaves behind a pleasant aftertaste or after-image in the mind. Penguin books, at least those up to the 1970s, do just that for me. Ditto the posters of Josef Muller-Brockmann, Armin Hofmann and a lot of those Swiss International Style chaps. But I also find little corners of things, bits of stuff lying around in the urban environment, just as inspiring sometimes. An envelope, a handmade sign, a fence, a crisp packet – it’ll be a juxtaposition of colours, or materials, or some offbeat kind of composition. Like I say, the key thing is to be open to inspiration wherever you are, because it’s all around you, even in the most innocuous places and moments. Now that really *is* woolly, but I think it’s true. All of the work starts out in my studio, that’s where it’s put together, sometimes physically, sometimes on the computer, more often than not it’s a combination of the two. In terms of the physical production of the final products, when I started out selling on Etsy I used to print everything myself on my rattly old printer. It was incredibly laborious and time-consuming! So for the past couple of years I’ve been working with a printing company who print and dispatch my work for me. The Internet is full of time-saving ideas and technologies… you just have to take the time in the first place to knit them together in a way that suits what you do. I work with a number of retailers, and I’m currently working with one to produce a range of prints based on authors and classic literature, the fruits of which should be available in the next couple of months. My aim for this year is to broaden my range with two or three distinct new lines. 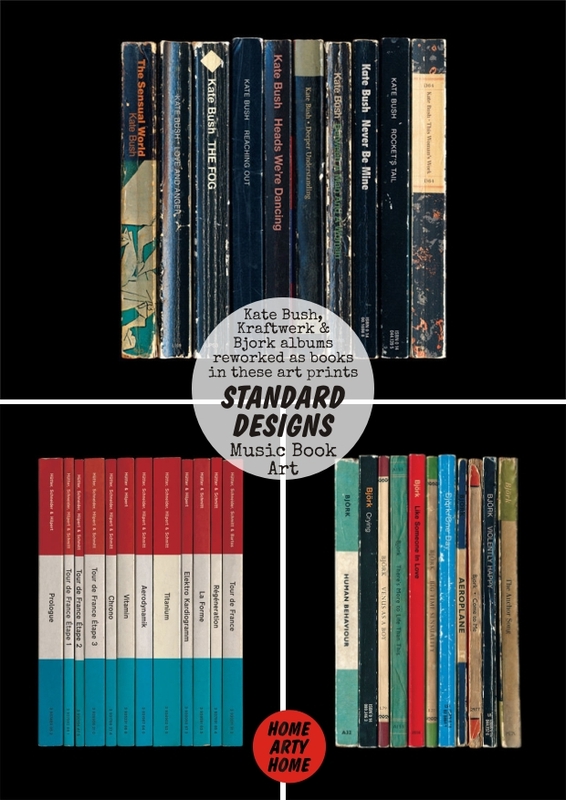 They’ll still have the same wordiness and love of design history as the other Standard Designs products, but they’ll be a bit of a sideways move – I’m pretty excited to see if people will like them. I can’t really say too much about right now them because they’re still being developed and I’ll want to make changes to individual pieces once I see them together as a whole… but they’ll involve language, travel, films and fun. I’m still going to concentrate on prints and posters because that’s the form I enjoy working with most, but I may spend this summer testing other types of products too. 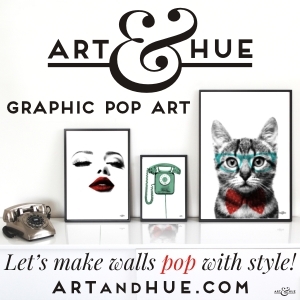 Simple – I want them to like it and buy more of my work! Seriously though, I hope people enjoy the playful little disconnection of seeing something they know and like – an album, a book – in a different or unusual way. In a world full of sameness, I want to create a modest bit of difference. And, beyond that, I hope that they’ll enjoy just looking at the work simply as a delightful thing to look at. 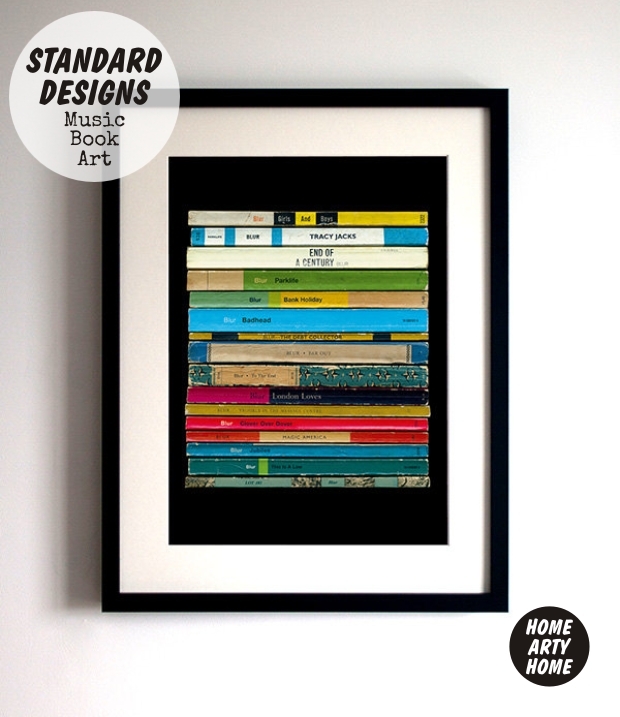 Visit Standard Designs‘ shop at Etsy to see the full range of art prints available. The Hay Festival runs from the 21st to the 31st of May 2015 in Hay-on-Wye.